Students of the Final Synthesis Studio of the Masters Degree in Communication Design present their results. In the 2018/2019 edition of DensityDesign Final Synthesis Studio students learn to observe, describe and represent controversial phenomena from different perspectives. 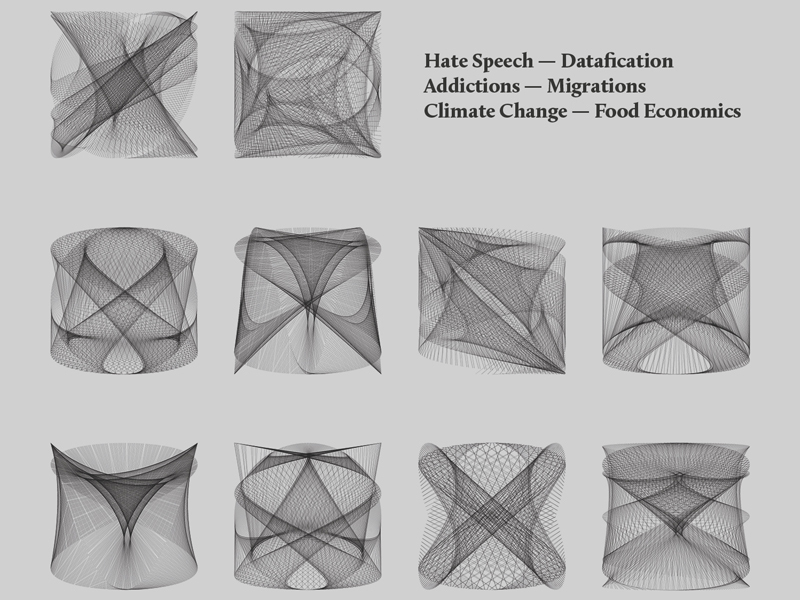 Starting from six macro-topics – datafication, climate change adaptation, addictions, food economics, hate speech, migrations – students chose one controversial issue, performed (data-driven) analyses and visually communicated the results. In this context, Communication Design is used to access and understand the increasingly complex amount of data and information shaping our world. Students are invited to use visualisation techniques across multiple phases of the research process: to describe and understand the observed phenomena; to share methods and results; as a strategy to move from understanding to action.